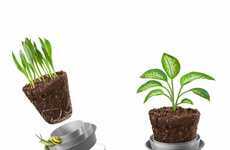 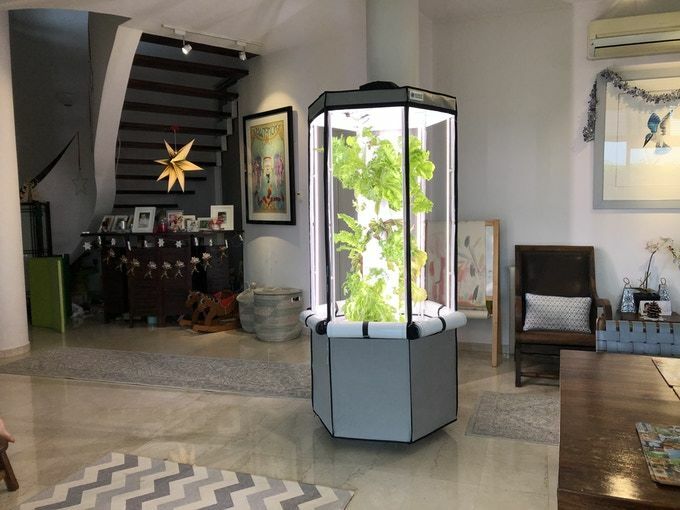 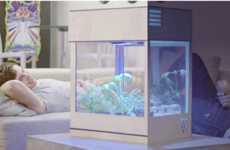 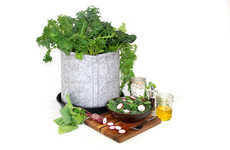 The 'Aerospring' personal urban farm is a compact, versatile solution for the home that will offer consumers a way to grow their choice of plants year-round without the need for outdoor space. 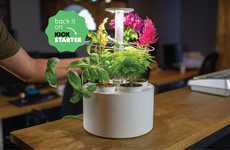 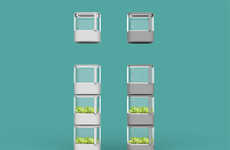 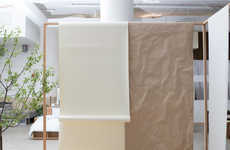 Featuring a vertical design, the unit allows users to grow between three and 27 plants in a compact 10 square foot space that doesn't require any soil in order to support greenery. 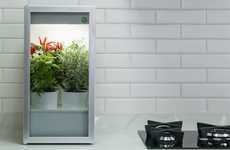 Professional-grade LEDs are integrated into the unit to help speed up the growing process to allow users to keep it smaller spaces or rooms that don't have natural light without worry. 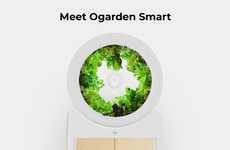 The 'Aerospring' personal urban farm sports a sleek hexagonal design that can be closed or left open and speaks to the larger movement towards food cultivation in city environments.